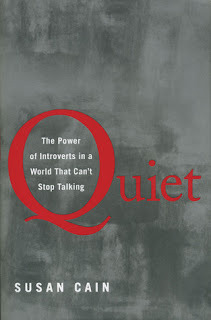 From neurological and psychological research to the personal stories about the cults of personality in business and religion, Cain has the inside scoop on how society views introverts and their true importance. I've been hearing about this one for the last year or so from various blogs and friends who read (hey Laurel!). As an introvert, I figured it was finally time I check it out for myself, especially given the pop psychology/sociology themes. Cain has done an impressive amount of research across disciplines, including psychology, sociology, business, religion, neuroscience, and education. Because I listened rather than read, I didn't get a chance to see her documentation, but based on the quality of her research I would assume it's nothing less than thorough. Because of my interest in the topic, I was quite entertained by the book. It's non-fiction, which I think is harder to listen to than fiction, but it managed to keep my attention despite it's somewhat academic tone. I can also see myself enjoying a reread in print and a chance to look at the author's research and citations for further reading. Two thumbs up. Honestly, nothing to really note either way. The reader does a fine job. I think this is a great example of popular science/psychology that will appeal to the average reader as well as those particularly interested in the subject matter. If you're an introvert (or in a relationship with an introvert) it's definitely worth reading. I definitely recommend it.